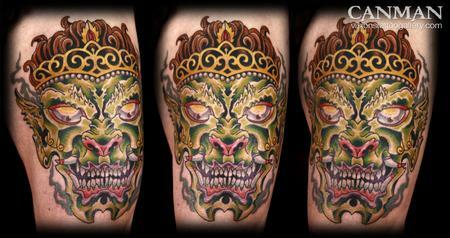 This demon mask is influenced by thailand and bali style decorative masks. This tattoo done by Canman at Visions Tattoo in Medway Massachusetts took 3 sessions. 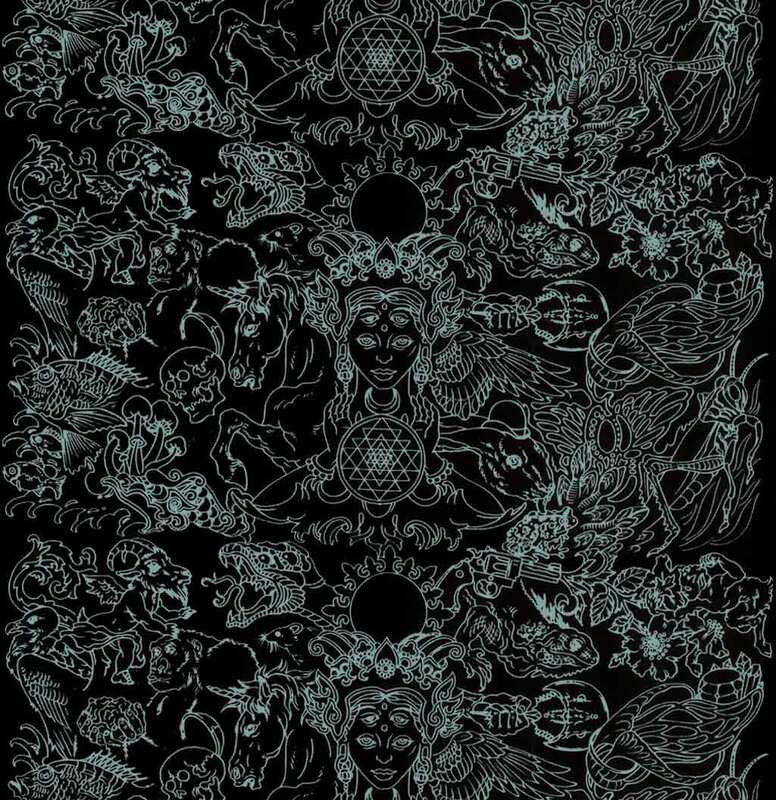 total time 7 to 8 hrs and is on the front thigh in full color.